Notes: Manley station was situated on the Cheshire Lines Committee’s (CLC) Mouldsworth to Helsby Junction railway which opened on the 1 September 1869. Mouldsworth was located on the CLC Manchester to Chester line. The CLC was jointly owned by the Great Northern Railway (GNR), the Manchester Sheffield & Lincolnshire Railway (MSLR) and the Midland Railway (MR) and the purpose of the line was to provide them with access to the Birkenhead Dock system via the Birkenhead Joint Railway (BJR) which had a line that ran from Helsby to Birkenhead. The line was primarily constructed for goods services but a passenger station was opened at Manley on the 22 June 1870. The station was located on the south side of Manley Lane. The line was a single track railway and the station had only a single platform on the east side. 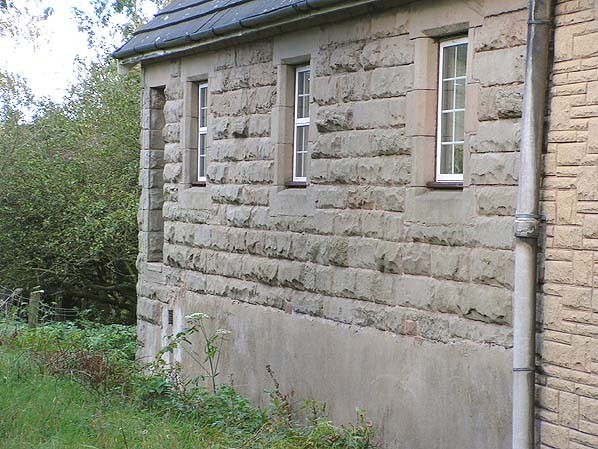 A driveway led up to a single storey stone building that contained the booking and waiting facilities. A signal cabin was located on the platform which controlled a passing loop and sidings to south of the station. There was also a quarry branch to the south of the station which served Manley Quarry. Passenger services ran between Helsby & Alvanley and Northwich but it did not prove very popular and it was withdrawn by the CLC on 1 May 1875. The line became a busy freight artery for the CLC and Manley was listed in the Railway Clearing House Handbook of Railway Stations 1904 edition as being open for goods services. The Manley Quarry branch was listed in the same edition but it had closed by 1910. The CLC remained independent at the grouping of 1923 but its parent companies became the London North Eastern Railway (LNER) with two thirds of the shares and the London Midland & Scottish (LMS) with one third. On 14 April 1932 the signal cabin was closed and replaced by a ground frame. On 1 January 1948 Manley became part of British Railways London Midland Region. An additional ground frame called 'Manley Up' was opened in 1949. In the 1956 Handbook of Stations Manley is shown as a public goods facility with a private siding for Manley H & Sons Cattle Market. Manley station closed completely on 6 March 1961. 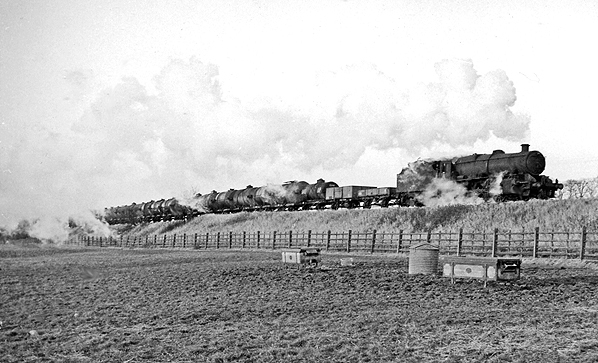 The ground frames closed at the same time and the passing loop and siding was removed. The line remained busy until 1990 by which time the oil industry had built numerous pipelines from the Stanlow Refinery. The commissioning of the pipelines led to a dramatic drop in the number of freight trains running to and from Stanlow and the Mouldsworth to Helsby Junction line was closed on 14 September 1991. The track remained in situ for a number of years and was still present in the early months of 1995. 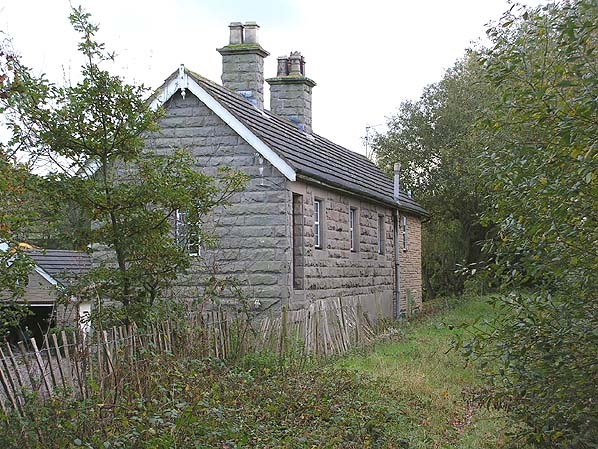 Today the station can be seen from the Dunham Heath to Manley road and it is in use as a private dwelling. 2-6-0 locomotive number 42968 of Birkenhead Mollington Street depot. The engine was built in 1934 and was withdrawn from Springs Branch Wigan on 31 December 1966. It was later preserved and became part of the Severn Valley Railway fleet. Manley station shown on a 6-inch scale map from 1875. At that time a quarry was served by a branch line which can be seen to the south-east of the station. Manley station shown on a 25-inch map from 1897.